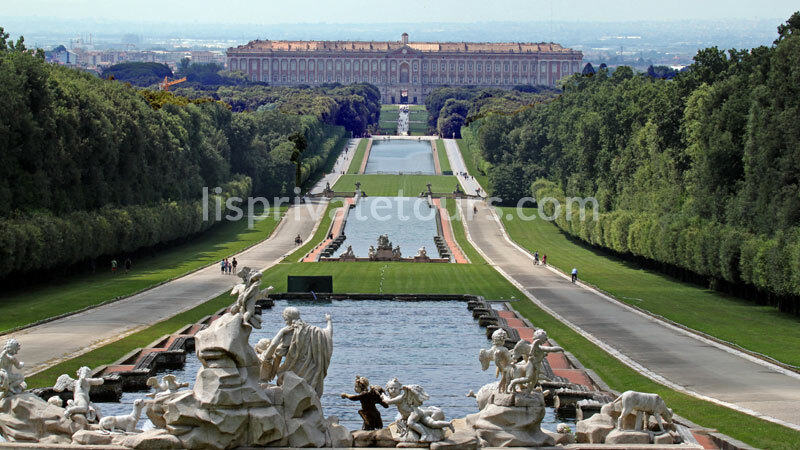 The first thing that comes to mind when talking about Caserta is certainly its Royal Palace, a royal baroque and neoclassical palace immensly desired by the Bourbon dynasty. The Royal Palace houses many works of art, but what strikes you the most is the architecture and sculptures in the large rooms that demonstrate the power and richness of the Bourbons. The flagship of the Reggia is the park that stretches for 3 kilometers in length and covers 120 hectares. Along the gardens, you can admire many fountains until you reach the last one overlooked by the Great Waterfall. Just a few kilometers from Caserta, the Amphitheater Campano is a sensational testimony of ancient Rome. The amphitheater is only second in size to the Colosseum and according to many historians it served as a model for the amphitheater of Rome, being the first amphitheater in the Roman world. 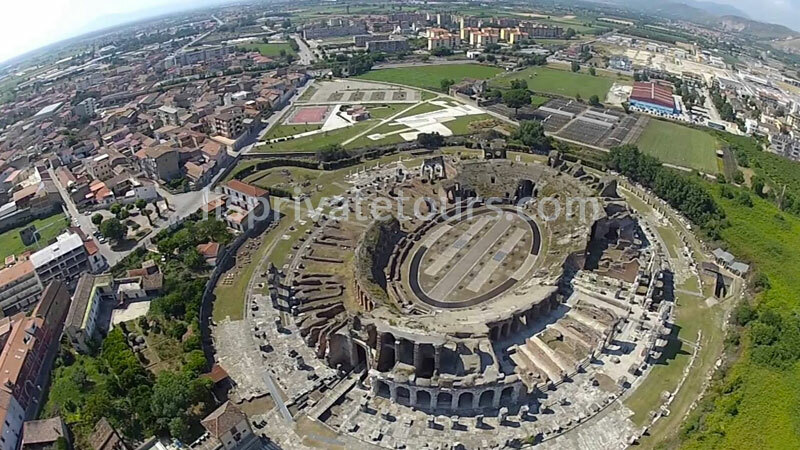 According to historical reconstructions, it was home to the first and most renowned school of gladiators. In this area we distinguish two types of wines produced according to the geographical position compared to Monte Massico (813m asl) and the volcanic area of Roccamonfina. To the south east where there is a drier climate we find primitive grapes, while in the northwest we find a damp climate and therefore more suitable for the Aglianico wine. In this area stands the Falerno Massico DOC. According to some historians, vinum Falernum is even the first wine that has been certified since Roman times. 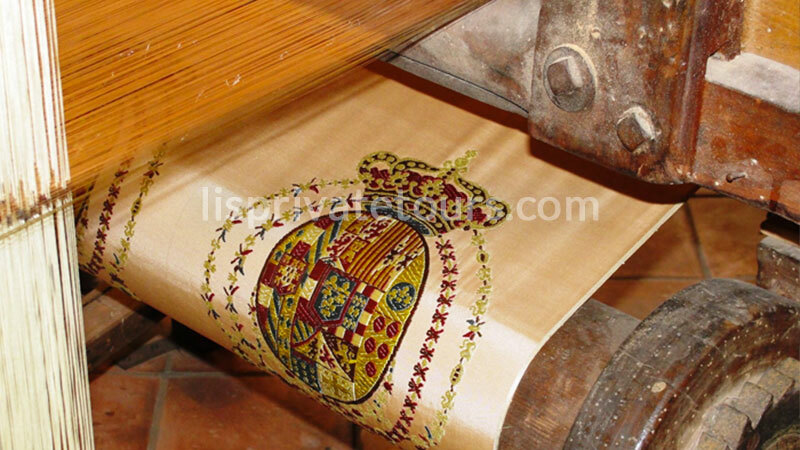 San Leucio is a fraction of Caserta town, well known for both historical and artistic reasons, in fact, in the second half of the 700 century it was distinguished for the production of Silk with the passing of the years San Leucio became an appreciated excellence throughout Europe. Even today, the productions of San Leucio can be found in the Vatican, at the Quirinale, at the Oval House of the White House. Some productions and some machines are today exposed at the Silk Museum in the Palace of the Belvedere. 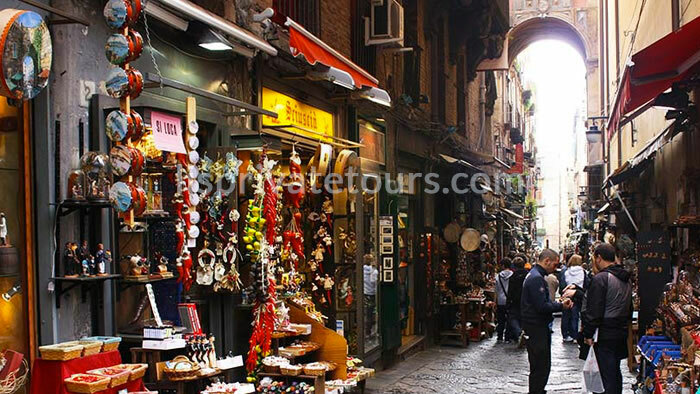 In Naples there are also many museums among the most important are the Archaeological Museum where there are many historical finds coming from the archaeological sites of Pompeii and Herculaneum and also a collection of finds from the Egyptian period. Another interesting museum is that of Capodimonte, which is one of the most important galleries in the city. 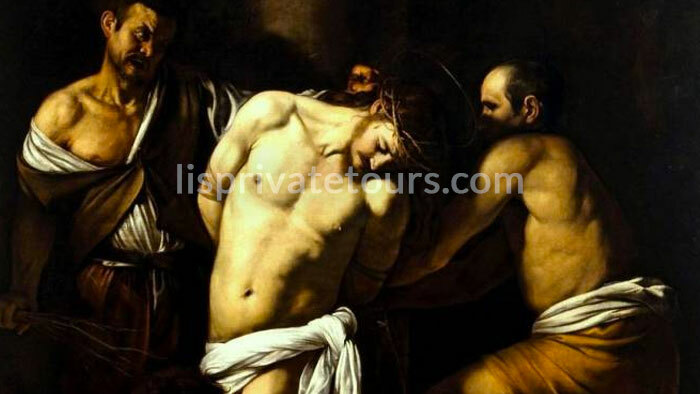 The collection boasts authors such as Raffaello, Titian, Parmigianino, Luca Giordano and Caravaggio. Various works include Andy Warhol’s Vesuvius masterpiece. bout the Neapolitan Baroque and the old customs of Naples which no longer exist. Over the centuries, Campania has suffered numerous alterations due to the abundant volcanic activity that has generated a tufaceous territory. The Greeks, who were among the first inhabitants of what we call Naples today, opened the first underground quarries to obtain the tuff blocks needed for the walls and temples, and later this practice was also restored by the Romans who created real networks that used to carry water, this practice was used until 1885. In World War II, the underground caverns were used as a refuge to escape the bombing. 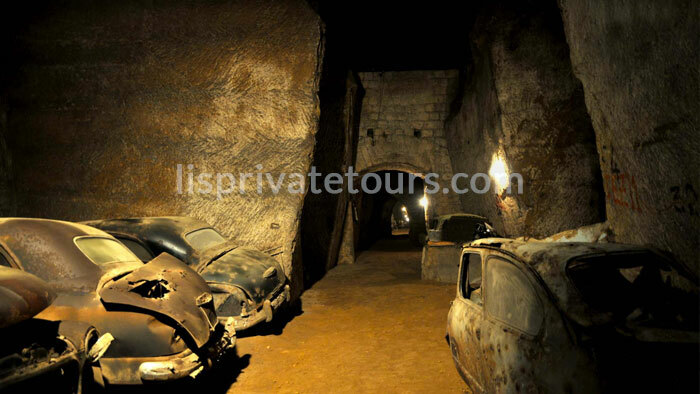 Today, it is possible to visit much of Naples underground and listen to the stories and myths of these cavities. 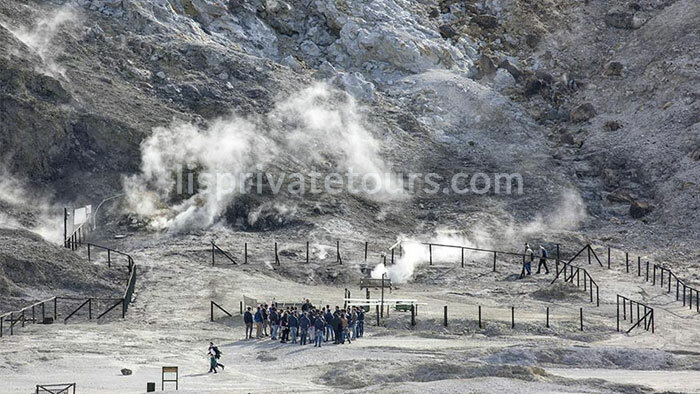 Speaking of Tufo and volcanic activity it is also worth a trip to Pozzuoli where it is possible to admire the Solfatara, a volcanic apparatus, whose principal activity consists mainly of the emission of steam and gas. A spectacularly amazing show that you could admire in Iceland or in the Yellowstone National Park. To the south of Naples we find the Excavations of Pompeii, Ruins of Herculaneum, Villa of Poppea Oplonti in Torre Annunziata, northwest of the Parthenopean city it’s worth visiting the Temple of Serapide in Pozzuoli, Mirabilis Bacoli Swimming Pool (a very important port of Roman times), Submerged Park of Baia, archaeological park of the thermal baths of Baia where in Roman times there were the most ‘sumptuous villas. All these destinations represent an important testimony to the passage of ancient peoples such as the Greeks and the Romans that lived in Italy until 1453. 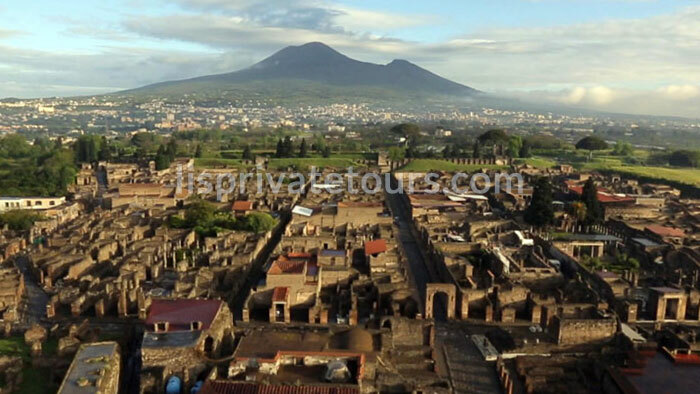 Vesuvius is the only explosive volcano still active in Europe, the Roman people believing It was a simple mountain inhabited its slopes for centuries until the terrible eruption of 59 AD Which submerged the cities of Pompeii and Herculaneum. 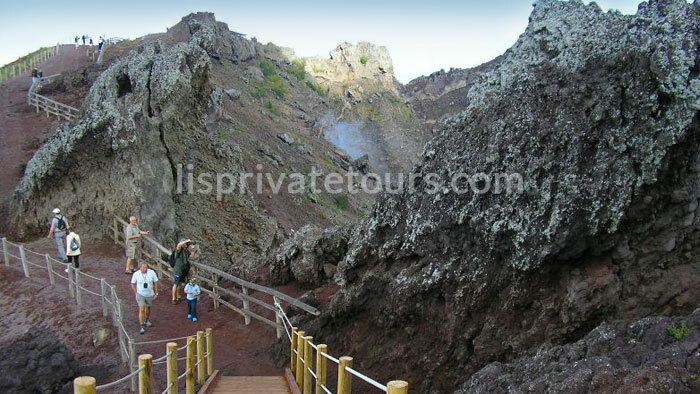 Today you can go hiking on the Vesuvius by foot or by using the ecological buses leading up to the top. At the slopes of Mount Vesuvius, where the soil is particularly fertile, we find important production of wine (lacryma Christi) and cherry tomatoes. 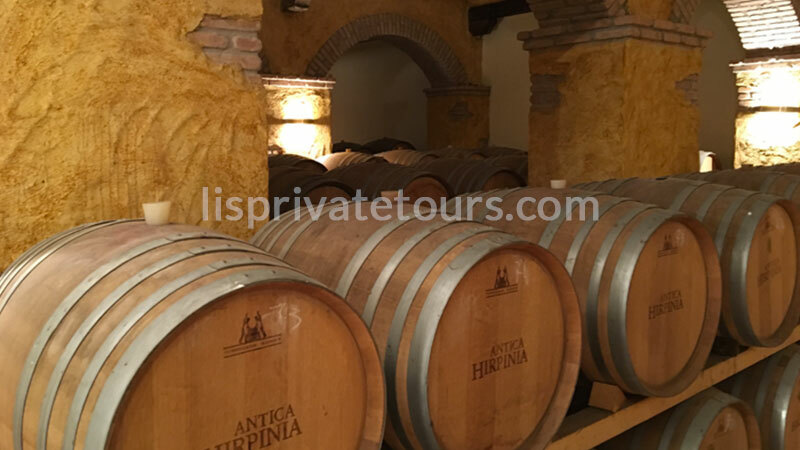 Many cellars and farms around the area offer the opportunity to taste the typical products and the wine produced.